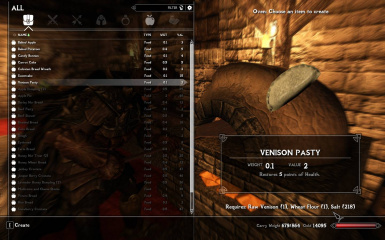 A patch to integrate Beyond Skyrim Bruma with Complete Alchemy and Cooking Overhaul v1.2 or v2.0 for Skyrim Legendary edition. Enormous credit to the BeyondSkyrimDC crew for Bruma. I've only just started exploring, but I'm enjoying it immensely so far. Huge thanks to kryptopyr and the other contributors to CACO and to wiseman303 for the many hours of fun they've given us. Applied the flora respawn fix to a couple more plants INEXPLICABLY missed in previous versions. Corrected a spelling mistake from the Beyond Skyrim DLC Integration patch. Redworth > Redwort. Fixed a bug with some plantables growing into unexpected plantables e.g Cyrodilic Wormwood planted, but Cyrodilic Alkanet growing. Added some more disambiguation 'Cyrodilic' prefixes. For the WMFF version, applied the flora respawn fix to the new plantables added by the Beyond Skyrim DLC Integration patch. First attempt at a mod. It all seems to be working. Wiseman303's flora fixes ﻿(required for CACO anyway). All the plantables from Bruma and the DLC patch now work alongside the plantables added by CACO v1.2 or v2.0. I have also changed the Bruma oven recipes so that Salt Pile and Flour Sack are replaced with CACO's Salt and Flour. This means that all the oven recipes are now craftable. For making the recipes at the cooking pot, see the first sticky in Posts. Some doubled-up plants have been renamed, e.g. 'Clouded Funnel' is renamed 'Cyrodilic Clouded Funnel'. My personal preference would be to force Bruma plantables to yield plain CACO ingredients, but I'm not sure how the Bruma guys would feel about that, so I have left them in with an added Cyrodilic prefix to highlight the distinction with existing CACO plants. Others I have left alone where there is already subtle distinction, like 'leaves' instead of 'leaf' - I didn't want to go ahead and make a ridiculous amount of 'Cyrodilic' things, for aesthetic reasons. 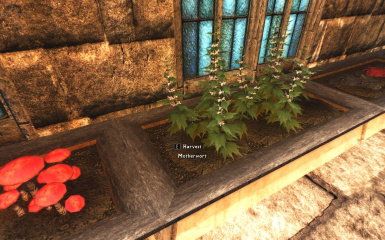 I have passed through all the Bruma flora fixes from here. 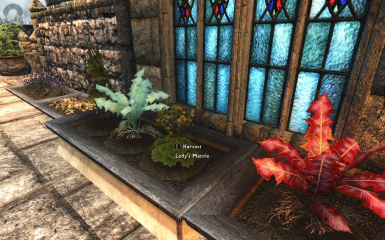 In addition, I have applied the flora respawn script to the new plantables added in the 'mandatory' Beyond Skyrim DLC Integration Patch. I haven't touched the buffs you get from food or recipes to align them with the CACO philosophy, so they will remain the same as in the vanilla Bruma expansion. I'm personally playing the game with CACO 1.2 with no problems. My testing of the CACO v2.0 patch has been minimal. It should be fine but definitely let me know in the comments if there is a problem. So, you need Bruma and its DLC patch and CACO 1.2 or CACO 2.0. There are two file options in the downloads, make sure you choose only one for your version of CACO. Put the Bruma/CACO patch following all your Bruma stuff, CACO and Wiseman303 fixes in your load order. It shouldn't cause any problems. Just get rid of the patch. The oven recipes will go back to needing Salt Pile etc and you'll lose the option of a bunch of CACO plantables, since without a patch, the Bruma-added plantables overwrite the CACO-added ones. If you have a mod that adds more plantables than CACO already does, then some or all of the set of plantables, either from that mod or the Bruma DLC integration mod (depending on your load order), will not be available for planting. It won't break your game, you just won't be able to plant them. The Salt/Flour replacement in the recipes from my patch will still work, plus the renaming of duplicate plants. Are you using CACO 1.2 and always wanted Sugar and Cooking Oil, but never came across any? Go here. 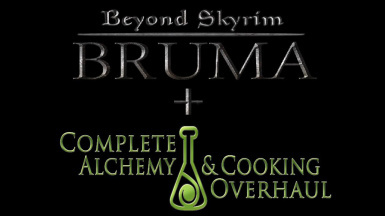 Enormous credit to the BeyondSkyrimDC crew for Bruma. I'm enjoying it immensely so far.